Africa’s hospitality industry is set to meet the rising demand from international tourists, local business travellers, and the continent’s own growing middle class. The sector has seen substantial growth with many international brands descending around commercial and retail centres, growing their footprint across the continent. PwC continues to stay on top of trends and developments that may impact hospitality companies, now and in the future. Recently, PwC published its Hospitality Outlook: 2015-2019 – the 5th edition in this series. PwC’s report features information about hotel accommodation in South Africa, Nigeria, Mauritius, and Kenya. The accommodation sector in South Africa consists of hotels, guest houses and guest farms, game lodges, caravan sites, camping sites, and other overnight accommodation. For Nigeria, Mauritius, and Kenya only information on hotels was included in the publication. South Africa, Nigeria, Mauritius, and Kenya have very different markets, which is reflected in their spending patterns. South Africa attracts a mix of business and holiday travellers and offers a wide range of hotel classes and accommodation. By contrast, Nigeria is largely an international business market with little tourism. Conversely, Mauritius is principally a resort market with most travellers on holiday and where five-star hotels constitute a significant component of available rooms. Kenya has a mixed market, predominantly attracting tourists through its beaches and safari offerings as well as business travellers. One of the most recent and significant developments in 2014 and 2015 in the South African tourism industry was the revision of South Africa’s visa regulations. Under the revised regulations tourists to South Africa will have to apply in person for visas to visit South Africa so that biometric data can be reliably collected. In addition, parents and guardians travelling with minors must have an unabridged birth certificate that shows the names of both parents and permission from any non-travelling parent. The purpose of the latter policy is to stop child trafficking. However, tourism industry commentators in South Africa fear that international tourists – in particular travellers from China and India – will not consider South Africa as a destination, as they may have to travel long distances to obtain the necessary documentation before being allowed to travel to the country. Any impact would not only affect hotels, lodges, and other accommodation but also the supporting services in the industry such as tourist transport, guides, restaurants, and curio vendors. Industry operators have already indicated that they have experienced a reduction in bookings. PwC is hopeful that the South African Department of Home Affairs and the tourism industry will be able to work together to find a solution suitable for all. According to the PwC report, the accommodation market in South Africa enjoyed its third consecutive year of strong growth with a 9.1% advance following two years of double-digit gains. Growth in room rates will be the main driver of revenue, with new hotels in Cape Town leading the expansion. Cape Town is a dominant tourist attraction, with a total of R3.5 billion of investment planned for hotels over the next four years, which will result in adding 2,100 rooms to the overall market. Total room revenue in South Africa is expected to expand at an 8% compound annual rate overall and for the hotel sector, by 8.1% compounded annually. In 2014 overall spending on hotel rooms in South Africa rose 9.1% to R18.9 billion, with rising room rates being the principal driver. Hotel room rates rose 7% just above inflation with five-star hotels achieving the fastest growth at 12.8%. Room revenue will expand at a 12.1% compound annual rate to R3.1 billion in 2019 from R1.8 billion in 2014. Five-star hotels will increase their share of the market to 16% by 2019. Available rooms and stay unit nights were both flat for four-star hotels in 2014. Room revenue at four-star hotels is forecast to increase from R4.7 billion in 2014 to R7.2 billion in 2019, a 9.0% compound annual gain. Three-star hotels accounted for 36% of all available hotel rooms in South Africa and 33% of total hotel room revenue. Room revenue at three-star hotels is forecast to expand at a projected 8.8% compound annual rate to R6.5 billion in 2019 from R4.3 billion in 2014. With the market now improving, there is renewed activity in the hotel industry as major hotel chains upgrade current facilities, renovate their properties, or make plans to expand and open new hotels. The report estimates that by 2019 there will be about 63,600 hotel rooms available up from 60,800 in 2014. Stay unit nights are projected to increase by 2.3% in 2015 and by an additional 3.0% in 2016 with more moderate gains expected in subsequent years. Elsewhere on the continent, the Nigerian hotel market was hit by health concerns as a result of the Ebola outbreak in West Africa in July 2014. In October 2014, the World Health Organisation declared Nigeria Ebola-free. 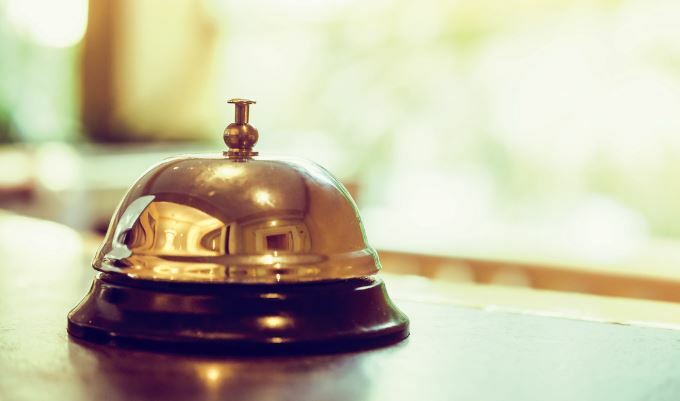 Despite the challenges faced, the hotel market continues to grow. It appears that the government has done a good job in protecting Abuja and Lagos, where most of the major hotels are located, from the terrorist attacks. A number of initiatives have also been put forward to promote tourism and positively impact the Nigerian hotel market. Overall room availability in South Africa is expected to increase at modest rates in each category with guest houses projected to be the fastest-growing category averaging 1.0% compounded annually. Overall room availability is projected to increase at a 0.7% compound annual rate to 120,300 in 2019 from 115,900 in 2014. The overall occupancy rate rose to 54.4% in 2014 with each category increasing. Guest houses/guest farms had the highest occupancy rate at 62.9%. The overall occupancy rate is forecast to climb to 58.3% in 2019. Stay unit nights rose 3.6% in 2014 with most of the growth generated by a 10% increase in caravan/camping sites and other accommodation. Stay unit nights for guest houses and guest farms rose 4.8%, but hotels were flat. It is also expected that average room rates for hotels will rise at a 6.0% compound annual rate, while guest houses will increase at a 7.1% compound annual rate, in both instances growing more slowly than in 2014. The Nigerian hotel market was hit by health concerns in 2014 in the wake of the Ebola virus and concerns around terrorism. The three- and four-star hotel market was in particular hurt as revenue fell 7.7%. Nevertheless, the Nigerian hotel market continues to grow despite the numerous challenges faced. It is mainly corporate driven, as Nigeria remains a favourite destination for business in Africa. The number of hotel rooms is expected to more than double during the next five years with that growth occurring predominantly in Lagos. Nigeria is forecast to be the fastest-growing market over the next five years with a projected 10.5% compounded annual gain in room revenue. Almost all of that gain is expected during the latter three years of the forecast period. The number of tourist arrivals in Mauritius increased 4.6% in 2014, exceeding the one million mark for the first time. Although a stronger global economy is expected in the coming years, Mauritius is facing growing competition as a tourist attraction from Sri Lanka, The Maldives, and The Seychelles. The average occupancy rate is expected to remain relatively steady, edging up from 63.1% in 2014 to 63.7% in 2019. Mauritius posted a modest 1.8% advance in 2014, helped by an increase in tourism, but declining room rates held down revenue growth. Kenya’s hotel market declined during each of the past three years, falling 7.1% in 2014 and by a cumulative 16% since 2011. Terrorism has been a major concern, leading a number of western countries to issue travel warnings that discouraged people from visiting Kenya. Despite recent problems, a number of new hotels are scheduled to enter the market. The number of available rooms is expected to increase from 17,800 in 2014 to 20,000 in 2019. In spite of the challenges posed by the recent visa regulations, PwC is very bullish on the South African hospitality market’s ability to compete, grow, adapt, and succeed – especially as the global economy continues to improve following the recent economic uncertainty. In its most recent global Travel and Tourism Competitiveness Index report, the World Economic Forum (WEF) found that South Africa’s performance in the tourism sector had improved significantly since 2013, when the previous study was conducted. The report, released on May 6, 2015, ranked South Africa as the leading country in Sub-Saharan Africa in terms of competitiveness and growth drivers, and 48th out of the 141 markets assessed overall. Growth in travel and tourism is also expected to boost growth in the accommodation industry across the African continent during the next five years. Nikki has performed many international Quality review assessments. Nikki, joined Price Waterhouse (PW) in Birmingham, UK in 1988 where she trained and qualified, initially in the small businesses group. She was then promoted to manager in 1993 before moving to South Africa and PW Johannesburg in 1994, where she was admitted to partnership in July 1999. This are indeed encouraging projections. What remains a challenge is ensuring that labour unrests in other sectors of economy are not be default exported to tourism. These are indeed encouraging projections. What remains a challenge is ensuring that labour unrests in other sectors of economy are not be default exported to tourism.